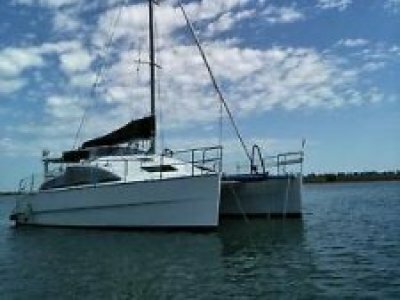 The Simpson Sailing Cat is a very popular Australian coastal cruiser and great boat to explore the hidden coast line. 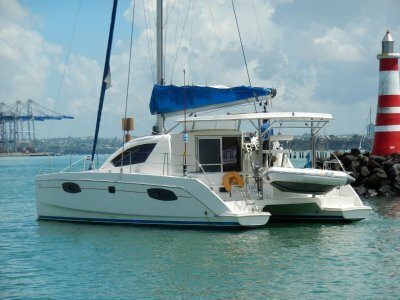 With accommodation for 6 there is room for all the family or easily sailed by 1 or 2. Has all the nice features of bigger cats but in a compact package. With a great heritage of . . . 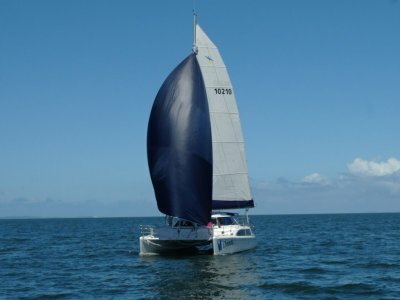 Designed to cope with the rugged and variable conditions of Australia's coastline, the Seawind 1000XL is widely considered a great ocean going yacht due to design features such as flared hulls for additional buoyancy, triple point reefed mainsail to easily de-power, and foam core construction . . . 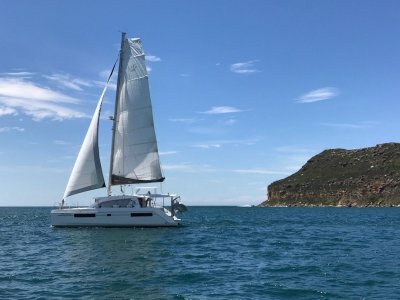 The Leopard 38 ( Sunsail 384 ) is the first of the new generation models to come to market in Australia. 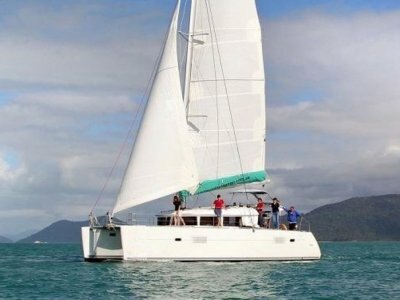 In commercial QLD registration and continued charter management with Sunsail, this cutting edge design of cruising catamarans focuses on performance and comfort, offering an abundance of outdoor . 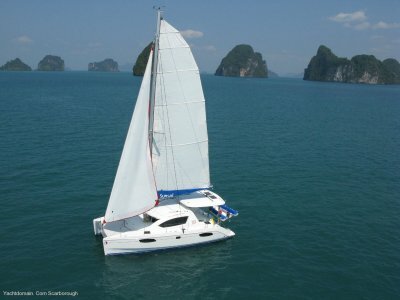 . .
TEMSIRI is a 4 cabin version of the well loved Leopard 38. The 38 is stiff but also relatively light, thanks in part to vacuum-bagged and balsa-cored construction giving a light-ship displacement of 19,790 pounds. Combined with an easily managed total working sail area of 990 square feet, the boat . . .
Take advantage of this yacht being available here and now and avoid the long wait time on a new build. The Seawind 1160 Light has been designed for ease of handling while underway, and open plan comfort while at anchor as well as a dynamic performance when the fun side of sailing begins. She is . . . 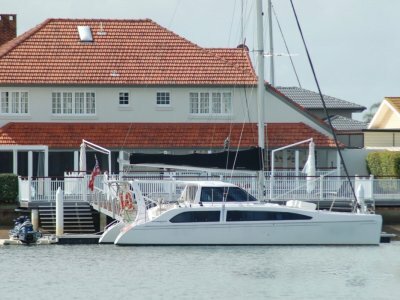 This vessel is being sold as a going concern, in current charter, under management with a premiun Bareboat charter company in the Whitsunday Islands on Queesnlands iconic Great Barrier Reef. The sale is based on a three year renewable fixed term contract, with owner priveledges. The . . .
Leopard 40 three cabin layout. This late model low hours Leopard 40 will appeal to the new boat buyer, who is ready now to take advantage of the huge savings on offer, compared to that of a new vessel. Her owner's life plans have taken a different path, hence the opportunity to immediately . . .